Can’t speak French? Neither can we! That’s why we have Supertitles. We want to be sure you understand every word of the performance. That’s why we use Supertitles! 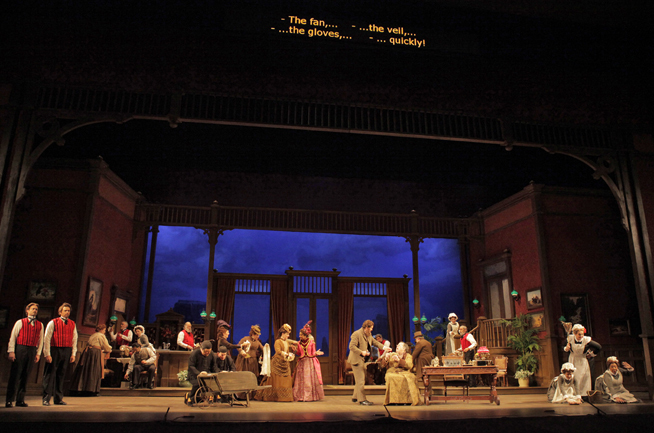 Supertitles are translated lyrics or dialogue projected above the stage in English and make it easy to follow the opera. In addition to translating operas from their original Italian or French, we use supertitles even when the opera is sung in English. 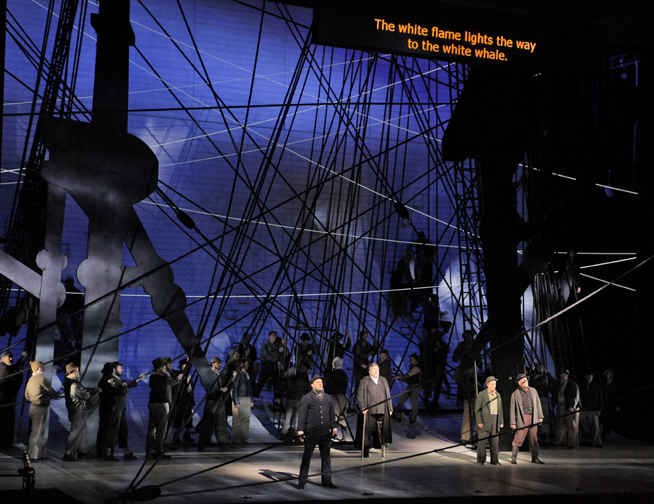 Cruzar la Cara de la Luna (To Cross the Face of the Moon) in 2013 was the first opera that San Diego Opera presented with bi-lingual English and Spanish supertitles. The word "surtitle" comes from the French language "sur", meaning "over" or "on", and the English language word "title", formed in a similar way to the related subtitle. One of San Diego Opera’s favorite directors, Lotfi Mansouri, then general director of the Canadian Opera Company, introduced this innovation to opera in their January 1983 staging of Elektra. Supertitles are also called Surtitles, and that word is a trademark of the Canadian Opera Company. New York City Opera was the first American opera company to use supertitles in 1983.